GOING ON ADVENTURES: Thinking about the Galapagos? Here are some great reasons to visit. 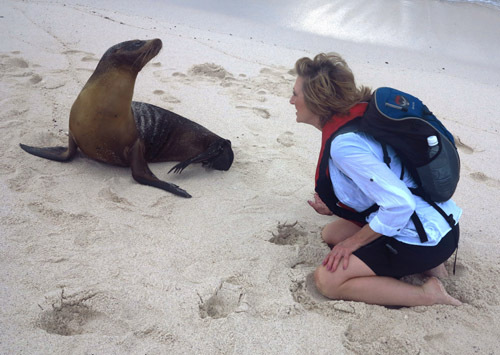 Thinking about the Galapagos? Here are some great reasons to visit. Hundreds of sea lions romp on the white sand of Mosquera Beach. If you love wildlife, on both land and sea, and enjoy being outdoors, the Galapagos Islands should be on your bucket list of places to travel. 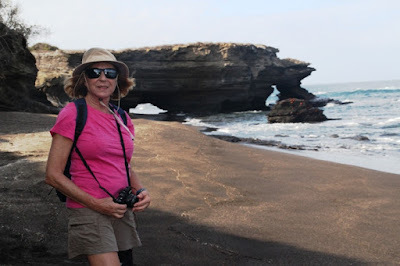 I checked Galapagos off with a trip there in February, and here are several reasons you should consider this destination, too. 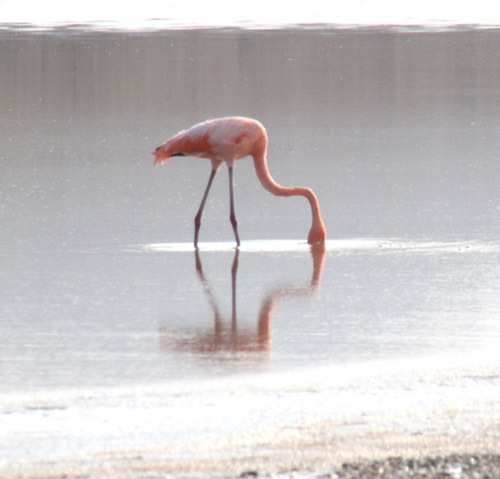 Flamingos grace the island of Floreana. 1. It’s all about the wildlife. Sea lions, iguanas, too many species of birds to remember, tortoises, and so many colorful fishes make each day a time of discovery. What a delight to realize that penguins and flamingoes also inhabit different islands. 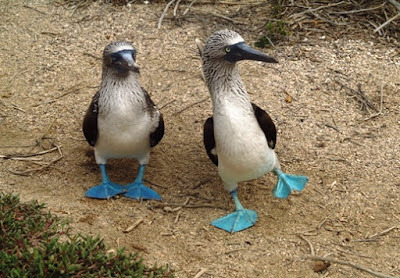 Blue-footed boobies perform an awkward dance. Females have darker feet than males. 2. You can’t miss the blue-footed booby, whose funny dancing routine reminds you why its name means “clown.” Oh, there are red-footed boobies and nasca boobies, too. Red-footed boobies and nasca boobies were plentiful, too. 3. 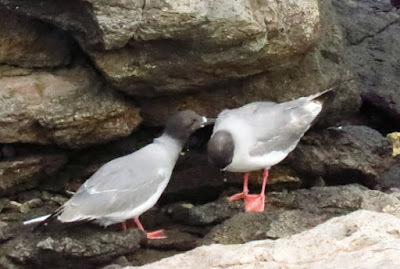 Maybe you’ll be lucky enough to witness the birth of a sea lion, blue-footed boobies mating, nesting bird feeding time, a rare owl, frigates inflating their red throats in a mating ritual, and other special animal behaviors. the sea turtle under water. 4. 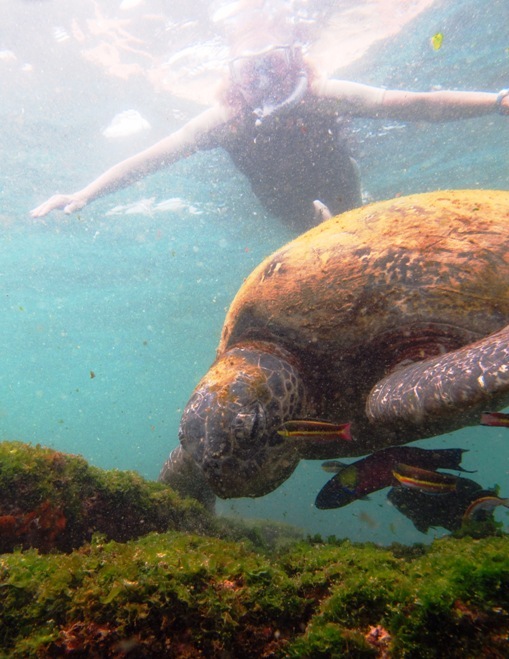 Snorkeling with sea lions and turtles was a highlight of the excursion. 5. Even when landscapes are rather stark, there’s a certain beauty in the rock and lava formations, rugged cliffs, and desert cacti. Black sand beach at Chino Sombrero Island. 6. Beautiful beaches ankle-deep in soft white sand or black sand beaches, depending on which island you’re visiting, lead into bright blue water. 7. Learn about Charles Darwin’s legacy. His theories came from a relatively short visit but have impacted science for centuries. 8. 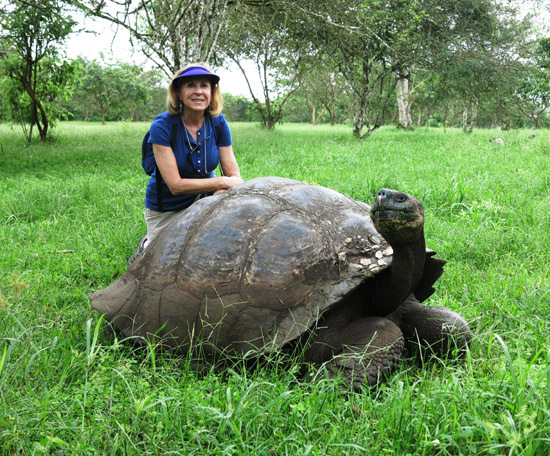 See turtle breeding programs in action as you remember Lonesome George, the tortoise who lived more than 100 years but was the last of his species when he died in 2012. 9. Shop in the quaint town of Puerto Ayora, enjoy an ice cream, or visit the outdoor fish market. 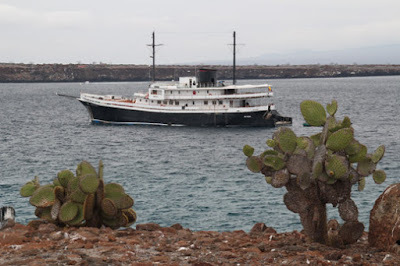 We traveled on a small ship with International Expeditions. 10. Daily hikes let you experience the topography and specific wildlife inhabiting each island you visit. 11. Option to choose a small ship (30 or fewer people) or a larger vessel (120 plus passengers) depending on the activity level you’re comfortable with. A trip to Ecuador’s Galapagos Islands is a nature-filled voyage to remote, protected, and sometimes desolate areas. But no matter which islands you visit and what activities you do, it’s a journey that reminds you how fragile our environment can be and that we must protect natural places like this for future generations. You’ll remember the trip for a long time.